Brother Jesse Blog: The Gifted Person Who Lacks Character. What Happens? 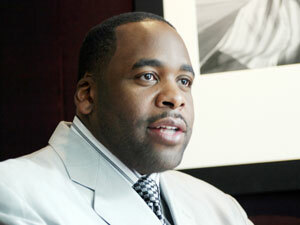 Former Detroit Mayor Kwame Kilpatrick is still presently doing jail time. I'm not blogging about him to bring up old news but rather to mention that he actually crosses my mind pretty often. I have never spoken to him personally nor shook his hand when he was at the height of his political career. My connection to him came via a November 2009 exclusive interview he did with Ashahed M. Muhammad, Assistant Editor of The Final Call Newspaper. At that time, it was his first interview since he had left office and a lot was shared. Some chose to outright attack but I was reading with an open mind because you never know where wisdom and guidance for your own life may come from. In the course of the interview, these words by Kilpatrick struck me: "I learned several things. One is that sometimes your gift takes you to a place that your character is not prepared to handle. I can be the mayor; I can do it right now. I can go in there right now and put things together. I was truly anointed for that position and I wasn't mature enough in my spirit, in my manhood to handle that responsibility at the time it was given to me. The significant character flaw that I had, it rose up and bit me. I learned that you can go after things before you are ready and so if you are going after it, you need to make sure that your spirit is ready. I learned also how to surrender to His will and not mine." Phenomenal words of wisdom! I reflect on these words a lot because I, like many of you reading this post, have many gifts and talents. Sometimes that talent may gain us nearness to a high profile person we admire, a higher level position at a job or in an organization, the endorsement of many, invitations to "exalted" and "private" meetings, popularity beyond our wildest dreams, thousands of fans online and offline, and more money flowing out our ears. What happens when our character is not prepared to handle it all? What happens when our ill-motivations become exposed? What happens when we're surrounded by people who tell us what we want to hear versus what we need to hear? What happens? I am presently re-reading the book "Closing The Gap: Inner Views of the Heart, Mind & Soul of the Honorable Minister Louis Farrakhan" by Jabril Muhammad. It’s a collection of question and answers between these two giants whom the world should continue to get acquainted with. In a response on page 303, Minister Farrakhan says "The gifted person, who has the gift but has not the character to go along with the gift, must be careful, because the gift can become the means of the student's destruction." Without character our "little world" may soon come tumbling down right before our eyes. Let's focus on placing Allah (God) at the center and strive for moral excellence so it can buttress our gifts and talents. This will help to ensure we have the proper character to handle the inevitable blessings that Allah (God) has in store for us. I'm going to keep striving to work on Brother Jesse. I'm heavily "Under Construction" but He is not finished with me yet. Let the church say A-MEN!